Pearson is the world’s leading education company. With a presence in over 70 countries and 40 000 employees, Pearson provides learning solutions from early childhood learning to professional certification, Pearson curriculum-based materials, e-learning content and tools, as well as teacher training and testing programmes help to educate millions of people worldwide. As part of the company’s organic growth, Pearson South Africa delivers direct education through its own independent educational institutions, CTI and the Midrand Graduate Institute (MGI). Today, the CTI Education group has 13 campuses and over 14 000 students across South Africa. The company is continuously working towards the expansion and growth of the digital solutions and learning services, while concurrently protecting its market leadership position in print across the business. Pearson is committed to helping teachers and administrators to acquire, improve, and master skills that contribute to students success. Accredited trainers deliver Pearson services online, face-to-face or via a blended approach. In each approach the goal is to make an impact on teachers’ effectiveness and thus improve learning outcomes. Pearson has implemented teacher training for more than 80 000 teachers in many provinces in South Africa. On any journey, it’s vital to measure your progress. Governments, educators, parents and students need to be confident that learning is effective and that it is delivering the desired outcomes. Testing and technology-based solutions help teachers and students identify where they can improve, so they can focus their efforts and achieve more. Pearson can coordinate the marking of tests, analyse the results and produce an annual research report. The report can then be used by governments to inform decisions about resource allocation and possible further interventions. Pearson offers internationally recognised academic and vocational qualifications across 85 countries worldwide. Edexcel, BTEC and London Chamber of Commerce and Industry (LCCI) qualifications are available in a wide range of subjects and enable the company to provide institutions with the ideal combination of programmes to suit their students at every level. The Learning Services team develops and deploys learning resources and services that help learners, students, teachers and lecturers with their teaching and learning. These resources include textbooks and other learning and teaching support materials; services like test and improve, teacher/lecturer education and learning academy (TELA and LELA), revision and exam preparation programmes; learning systems and platforms. Our role is to understand the learning and teaching needs and develop content, resources, systems and platforms that can best meet those needs. Within an evolving learning environment where educators are faced with an array of challenges, Pearson believes that opportunities should be created where educators can gain the knowledge, insights and tools required to overcome the challenges they encounter. Pearson has trained over 80 000 teachers in South Africa and continues that professional development ethos through the established Teacher Education and Leadership Academy (TELA). The Lecturer Education and Leadership Academy (LELA) was established in 2014 to deal with the challenges faced by lecturers. The courses focus on equipping lecturers with practical knowledge and skills, with the ultimate aim of helping learners to flourish. Pearson’s primary resources are developed by experts and tested in classrooms. They include Curriculum Assessment Policy Statements (CAPS) compliant textbooks for all the main subject areas as well as dictionaries, classroom kits, wall charts and phonics programmes. Pearson produces some of South Africa’s most effective secondary school resources. The products work because they’re developed by teachers and tested in real classroom situations. Pearson understands what learners need and recognise that young people learn in different ways. Our products now extend to resources for TVET colleges and universities, providing text books, e-learning content and tutorial materials. CTI and Pearson Insitute offers qualification and courses within the fields of Information Technology, Commerce, Creative Arts and Communication, Psychology and Law that are accredited by the Higher Education Quality Committee (HEQC) and registered on the National Qualifications Framework (NQF) by the South African Qualifications Authority (SAQA). Ebrahim has more than 15 years’ experience in the financial services sector. Prior to joining Pearson South Africa in August 2016, Ebrahim served as the MD of Diners Club SA (Pty) Ltd for six years. During his tenure the business was voted as the best Diners Club franchise in the Europe, Middle East and Africa region in 2013 and experienced exponential growth becoming the largest franchise in the region. 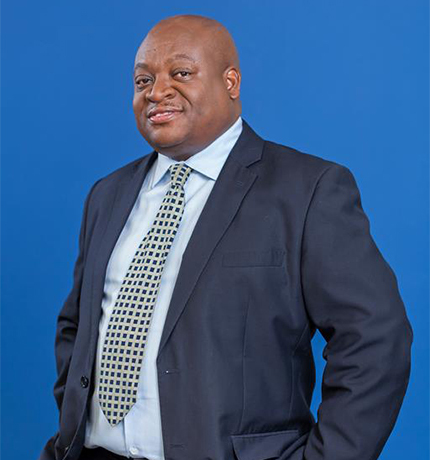 Before joining Diners, he held a number of leadership positions at Standard Bank including being the Head of the Pan African Commercial Card and a Director Bluebean, Commercial Card and Co-Brand Programmes. 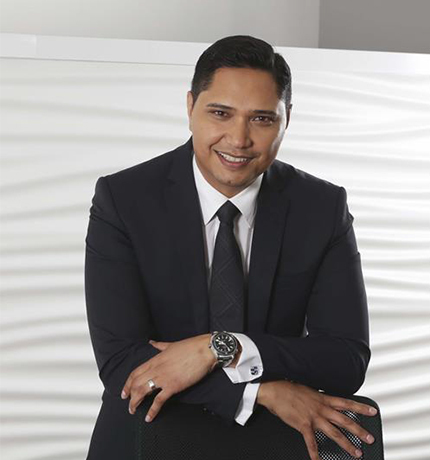 Ebrahim holds a Bachelor of Arts degree in Industrial Sociology, a Bachelor of Commerce degree in Economics and Human Resource Management and has completed the International Executive Development Programme through Cass Business School in London and Wits Business School. He is a senior executive with a strong history of relationship management and business development across a wide range of services. Ebrahim’s key strengths are leadership, business remediation, excellent communication skills, business development, relationship management, negotiation and interpersonal skills. Ebrahim has extensive experience in the development of corporate and consumer business strategy, business performance and strategic partnerships. He has a strong track record of growing businesses and building multi-cultural teams. He is married to Soraya and they have three sons, Yazdaan, Keyaan and Zayaan. Alice Bhebhe is the Executive Director for Human Resources. In this role she works with the business leaders to create an empowering culture to ensure that the right people are recruited, and develops the required competencies to help position Pearson South Africa team to collaboratively deliver the strategy. Alice is passionate about helping businesses make the most of their resources and talent and helping individuals make the most of their careers. Alice has a strong belief that people are at the core of Pearson South Africa’s success. Having worked predominantly in Retail and Financial Services she brings great experience in managing organisational transformation and talent management. She holds a BA Degree majoring in English and Philosophy from the University of Zimbabwe, a Certificate in Marketing and Public Relations from London Chamber of Commerce and a Strategic HR Certificate from the Stellenbosch Business School. Brian Wafawarowa is the Executive Director for Learning Services. In his career, he has had an opportunity to work with government and different education and book sectors, giving him a comprehensive understanding of the industry through small and large operations. He is the current chair of the Publishers Association of South Africa (PASA) and serves on the board of the International Publishers Association (IPA). Brian has taken a keen interest in the broad publishing industry and its policy environment. He has had the privilege of representing the publishing industry at UNESCO, WIPO, WTO, The World Bank, the European Chamber of Commerce and the African Union. He has also chaired the ministerial committee that developed the draft South African book policy. He holds a Bachelor of Arts Honours Degree in English, Literature, Language and Film from the University of Zimbabwe; Master of Literature, African Literature in English from the University of Witwatersrand; and Executive Masters in Business Administration from the University of Cape Town. Mike Ogden is the Executive Director for Operations and Finance, and as part of his dual role he also oversees the Legal function in SA as well as the BPM and Finance teams. He has been involved with the CTI / MGI business for 15 years and has in-depth knowledge of finance within Direct Delivery. 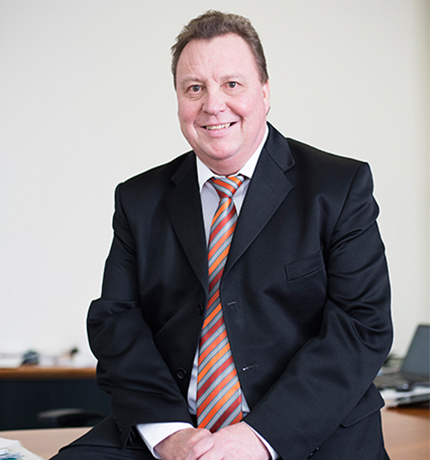 Mike previously ran his own Financial Consulting Company, and has a Chartered Institute of Management Accountants (CIMA) qualification, which he obtained in 1978. He has been in Finance for over 40 years. Nirvani Dhevcharran is the Executive Director for Technology. In this role, she is responsible for the delivery of all technology solutions for Pearson South africa, including Direct Delivery. This is achieved by applying the appropriate strategies and succinct plans for implementation that meet global Pearson standards. 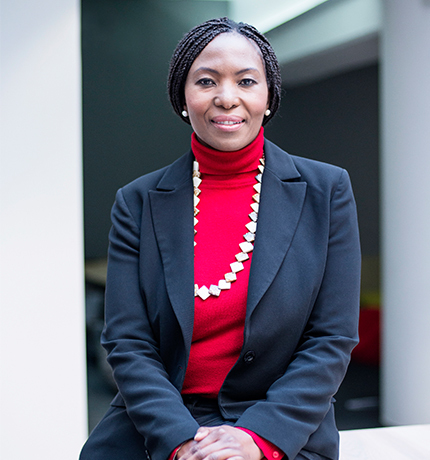 With extensive experience in computer science, her role enables strategic and operational effectiveness which provides Pearson South Africa with a competitive advantage. 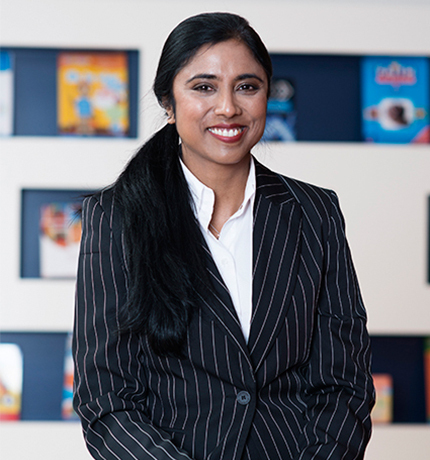 Nirvani holds a Bachelor of Science Degree in Computer Science from the University of Kwa-Zulu Natal as well as a Master of Science in Computer Science from the University of South Africa. 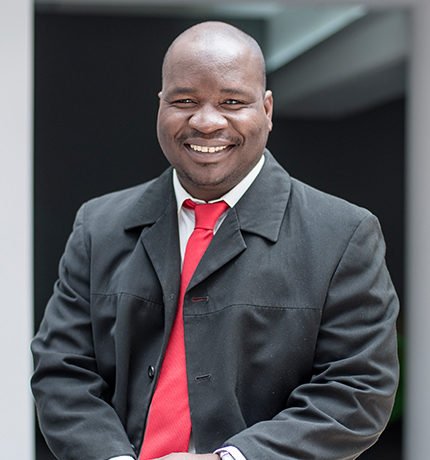 Reggie Mokotsi is the Executive Director for Sales and Marketing. In this role he leads the teams in improving lives through learning. His customers include schools, post schools and professional learners. As well as those that influence their learning experience – educators, institutions, parents, sponsors, government and trade bodies. He is currently the Education Executive (EDEX) Representative for the South African Publishers Association (PASA) in Limpopo, Member of the Black Management Forum and Associated Member of the Institute of Marketing Management. Reggie has over 19 years experience in Sales. He joined Pearson in 2009.